April Fools' prank: GoOpti takes you to America! Attention: This post was published as an April Fools' prank and is (for now at least) not true! 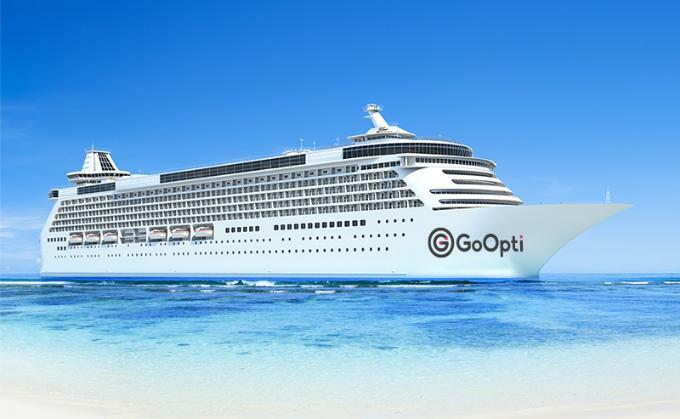 1April Fools' prank: GoOpti takes you to America! At GoOpti, we strive to give our customers maximum comfort and minimal effort. By pushing transfer limits, we now offer transfers also to the USA. That's right! Why start your journey in Europe? The USA in so close that we now offer to take you there by our transatlantic cruise! Our fleet, called GoFloatie, starts its journey in Venice. To Venice by GoOpti vans, tothe USA by GoFloatie! This new service was tested three times in March and the customers loved the experience! While being on a cruise to New York, Tina said: "I saw a whale!" For now, GoFloatie takes customers to New York, but will soon also service Boston and Washington.